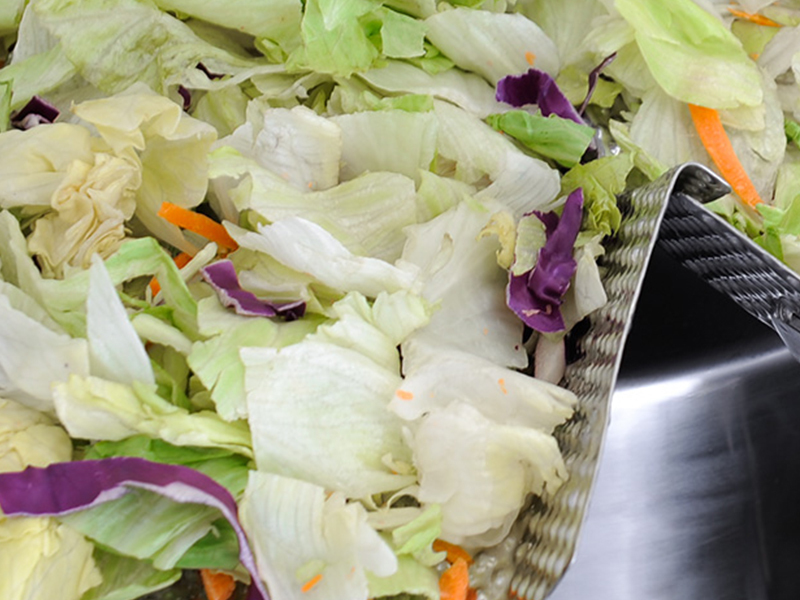 We provide a wide variety of packaging solutions suited for food service and bulk filling applications. Common weight filling applications are for 5 to 50 lbs of product filled into bags, pouches, containers or corrugated cases. We pride our selves on providing our customers a wide selection of products based on available foot print, package style, budget and production requirements. Our primary packaging solutions for food service include the Bingo Bagger for large polyethylene bags. 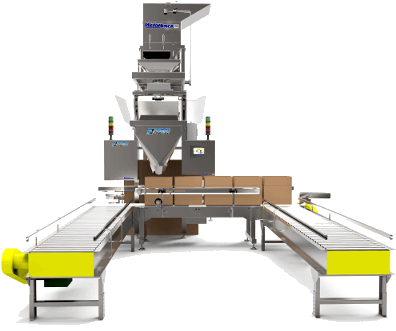 the Swifty Bagger 1200 for large stand up zippered pouches, the VerTek 1600 and 2400 vertical form & seal machines as well as the V-25 box filling system that integrates seamlessly with our end of line packaging systems. Achieve accurate fills, and increased profitability with the easy to use and easy to clean PrimoLinear™ bulk net weigh filling machine. Pair it with our box indexing conveyor for a complete packaging system specifically designed for bulk packaging applications. Capable of filling corrugate boxes of up to 50 lbs, the PrimoLinear’s PC controls allow for unlimited recipe storage and features great softwares such as Windows, Skype, Crystal Reports, and more. The V-25 net weigh filler can weigh and dispense product up to 20,000 lbs per hour efficiently. 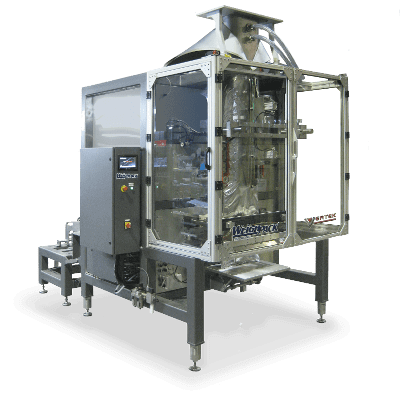 Add the Boxxer T-12 case erector to the beginning of your bulk packaging line for a complete packaging system solution. One of the more economical and compact case erectors available on the market today, the Boxxer T-12 box forming machine is perfect for any RSC and HSC style boxes. 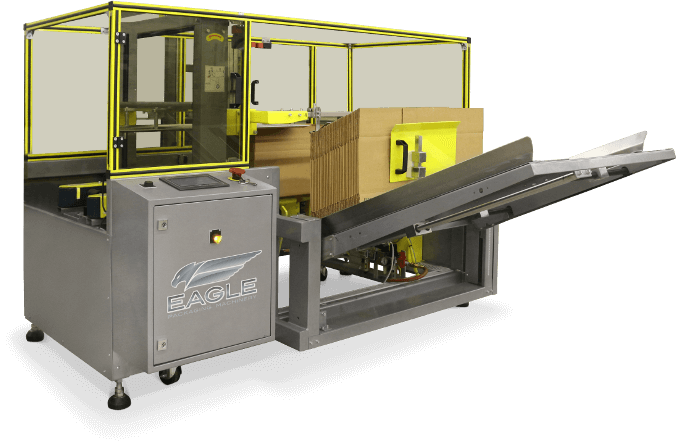 This automatic case erecting machine erects a case and seals the bottom with tape. The T-12’s user-friendly design allows for simple change-over between case sizes while erecting up to 12 cases per minute. Our wide range of vertical form fill & seal machines for bulk packaging include easy to use PLC controls and large color display. Popular models include the VerTek 1600 and VerTek 2400 for bag sizes up to 16 and 24 inches wide respectively. Both vertical bagging machines can produce standard pillow pouches as well as gusseted bags including zipper insertion.